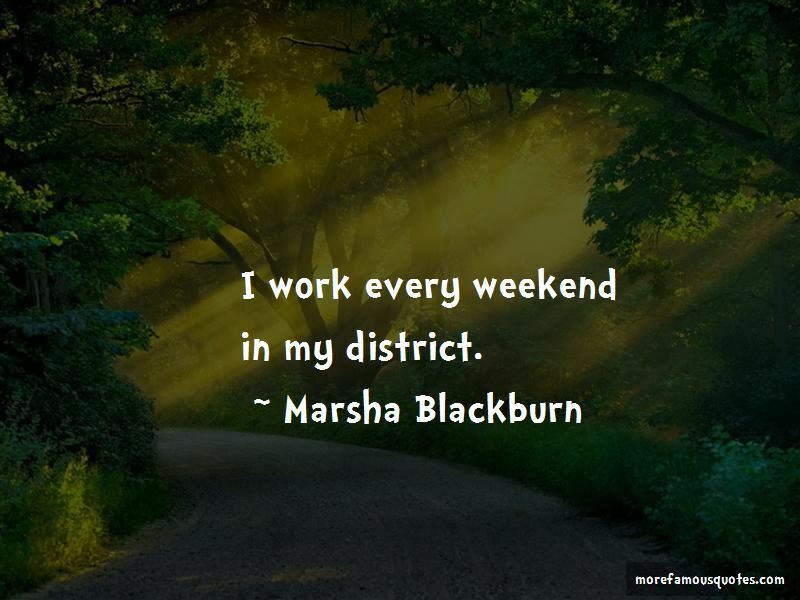 Enjoy the top 113 famous quotes, sayings and quotations by Marsha Blackburn. Being Speaker of the House is a really tough spot. I work every weekend in my district. Serving as President of the United States is a privilege that is afforded to few in our country. If a president can enforce a part of a law and delay a part of a law, then does he have a power to not enforce any law he so chooses? 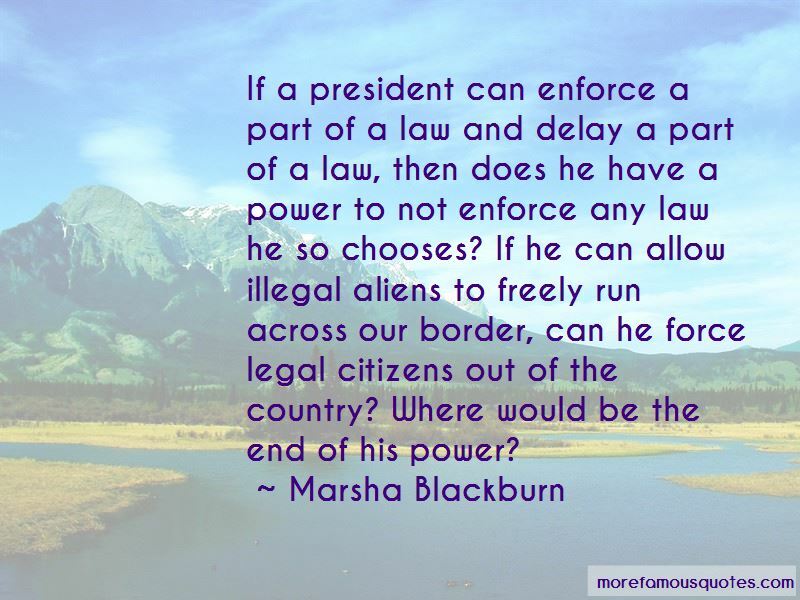 If he can allow illegal aliens to freely run across our border, can he force legal citizens out of the country? Where would be the end of his power? Net Neutrality originally referred to management of the 'last mile' of the network over which data flows into a person's home, but the debate has grown beyond that in recent years. We don't want the federal government to shut down. It is so inappropriate, and it is not respectful of the people that have sent us here to do our jobs. While the budget resolution is a nonbinding blueprint, it is, nevertheless, an important guideline for Congress. Once the President's proposed budget is received by Congress on the first Monday of February, Congress generally goes to work on appropriating the funds required. Want to see more pictures of Marsha Blackburn quotes? 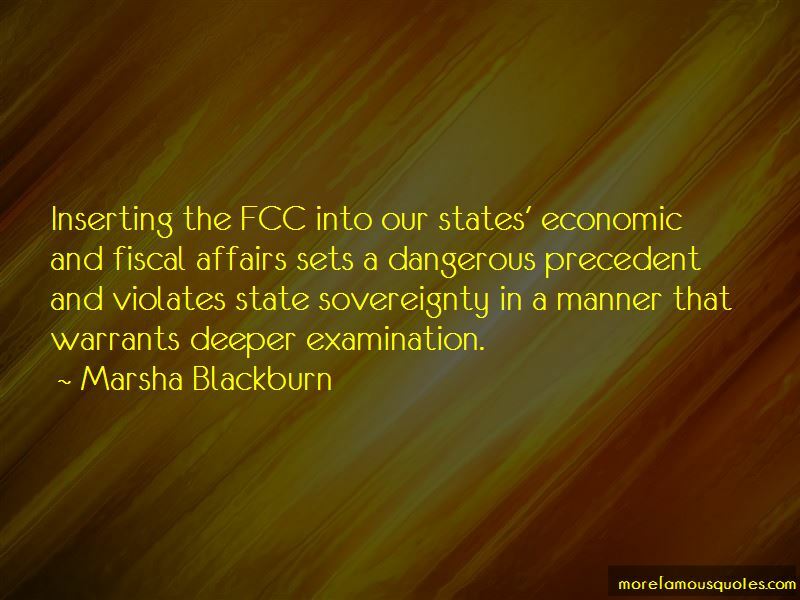 Click on image of Marsha Blackburn quotes to view full size.